The increasing popularity of the study of Persian (also known as Farsi, Tajiki or Dari) in the English speaking world, has created a need for a bi-directional Persian-English dictionary geared towards English speakers who are learning Persian.The features of the Persian-English / English-Persian Learner's Dictionary which make it unique are: BI-DIRECTIONAL: This is the first and only Persian-English/English-Persian dictionary in one volume which features both Persian and transliteration.ALPHABET: The alphabet used in Persian is completely different from the English. This can be a major barrier in the early stages of learning the language. This dictionary provides a simple transliteration of the Persian word along with its equivalent in the Persian alphabet.ALPHABETICAL ORDER: In this dictionary, the alphabetical order in the Persian-English section is based on the English spelling. 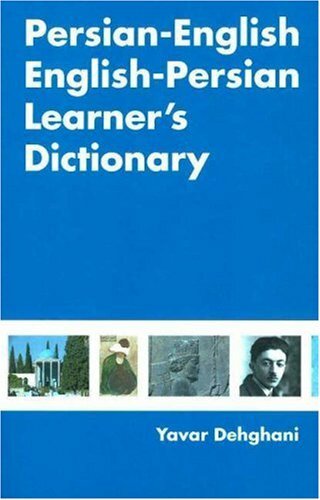 This makes it easy for the user who is not familiar with the Persian alphabet to find a word.CORRECT USE OF WORDS: This dictionary gives synonyms in various contexts allowing the student to easily choose the correct meaning.ENTRIES: Approximately 18,000 entries covering both day-to-day and more specialized vocabulary. The Audience for this dictionary is: English speaking students of Persian.English speakers who are seeking to communicate with Persian speakers.Children of Iranians, Afghans and Tajiks outside their homeland who wish to learn their mother language.Persian speakers who wish to learn English. Yavar Dehghani, who has taught Persian for over twenty years, is the director of the Persian Department at the ADF School of Languages in Australia. Through his broad experience he realized that there was a growing need for a simple Persian-English dictionary directed towards English speakers who are learning Persian.